This is not okay – in now way, shape or form should any living creature be subjected to such horrific neglect. We need to take a minute to talk about the neglect that is happening all over this country’s and states. THIS, is not ok. It is not ok to fight dogs, it is not ok to leave them for dead. It is NOT ok to see this dog on the streets and kill shelter and do nothing. Very sweet and docile. Only has one eye. 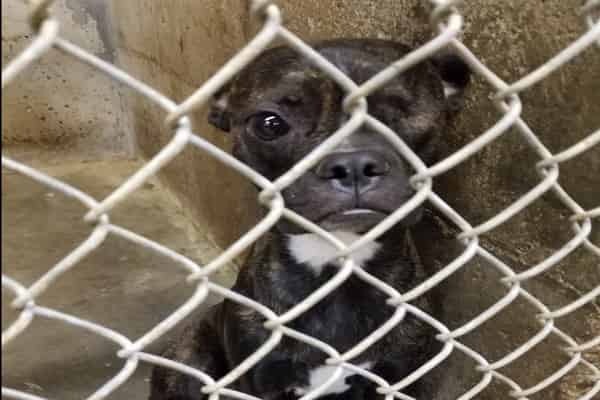 5 Responses to "Young pup Only has one eye dumped at kill shelter pleaded a second chance for her life"
How very sad & you can see the the dog is suffering. Whoever did this, should pay. Please, this puppy needs a home & that could change everything for this lovely dog. I would love to make her part of my family is there anyway you can get her to me in Elberton Ga.